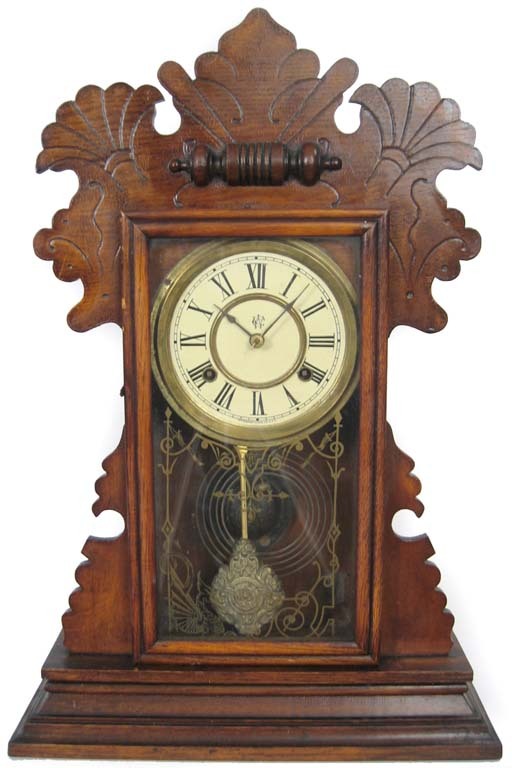 Waterbury "Fenwick" parlor clock. Solid oak case with no damages. It has had a later coat of finish applied over the original and it really needs to be cleaned up a bit. It has the original pendulum and a good stenciled glass. The dial paper and the hands have been replaced. 8 day with hour and half hour strike on a gong. The movement needs attention because it has two broken mainsprings and is very much in need of cleaning. 22" tall.